Palm Coast and Port Orange drivers who value both work-ready power and efficiency should know that the Ford F-150 was named 2016 Green Truck of the Year. The Green Car Journal honored the F-150 at the San Antonio Auto & Truck Show, drawing attention to its responsible design and outstanding efficiency technology. Indeed, pick-up trucks aren’t often seen as environmentally-friendly, but the Ford F-150 has proved to be a game-changer. The newest generation uses an aluminum-allow body to drop weight, plus an efficient available 2.7-liter EcoBoost V6. Even the ferocious 5.0L V8, which makes up to 385 hp, is available with a compressed natural gas/propane gaseous fuel prep package to reduce tailpipe CO2 emissions–a feature that is exclusive to the segment. The Ford F-150 isn’t just eco-friendly thanks to its lighter weight. The team at Ford pulled out all the stops to ensure that it uses as much recyclable material as possible without sacrificing quality. REPREVE fiber seats reduce landfill waste by repurposing 5 million plastic bottles this year. Plastic found in the electrical harness is reinforced using rice hulls, seats are made of post-industrial recycled cotton and soybeans, and the F-150 even uses T-shirt and blue jean material, and even bath towels. Don’t assume that the Ford F-150 being named Green Truck of the Year means that it sacrifices capability. Even the ultra-efficient 2.7L EcoBoost provides a solid 325 hp and 375 lb-ft of torque – more than enough to power you through even the most demanding of jobs – plus the ability to tow up to 8,500 pounds and carry up to 2,210 pounds. Of course, you’ll still enjoy Best-in-Class efficiency ratings of up to 19 mpg in the city and 26 on the highway. 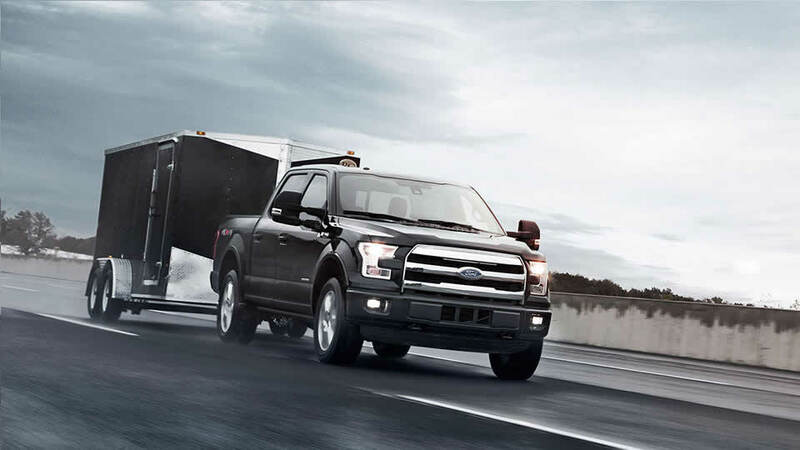 The Ford F-150 combines a staggering level of power with world-class efficiency and an eco-friendly design. To find out more, just contact one of the team at Are man she towards today.